Parties for children are not as simple as they used to be. Celebrations have become elaborate. They are planned well in advance with nothing but the best party ideas in mind. Aside from the food and the party favors, one other important thing which party planners need to consider is the event’s entertainment. Tiny tots need to be entertained so they can enjoy the celebration to the fullest. You want the little angels occupied so their parents can mingle and feel at ease. 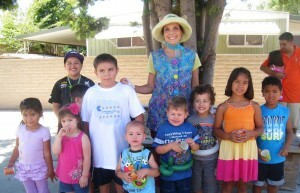 This is where I come in as a children’s entertainer and a party character for kids. Over the years, I have come to parties in various characters. Be it a princess, a fairy, a clown, a furry animal and all sorts of unforgettable and often requested characters. Why is a party character important for a celebration where kids are? Well, for one party costumes make the party itself more interesting. Everyone loves seeing characters they see on television or in movies come to life. They like seeing wonderful, colorful costumes and they want pageantry. They want to touch these perceived magical creatures and spend hours with them. For them party costumes and party characters are like dreams coming true. 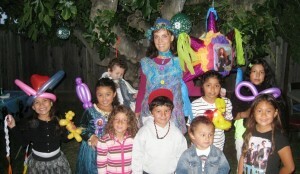 Some of the most popular party costumes are Disney like characters such as princesses, cartons, magicians and clowns. However, the choices are not limited to these. There are other amusing party characters which can give children just as much fun during birthdays and other special celebrations. Glittery, bright costumes often evoke thoughts of magic and faraway lands where anything is possible and the power of imagination is the only limit. Indeed there are various party characters which can inject life to a party and make it an event to remember forever. As a children’s party entertainer, it is important for me to always come dressed in a colorful party costume and a matching lively hat to give the kids the authentic feeling of being in front of their favorite character. When I arrive at the party there is no doubt in everyone’s mind that the party entertainer is here. I bring my bag of tricks and truckloads of fun to the festivity. I can twist balloons into different shapes and perform lots of magic tricks which will get the children wide-eyed with wonder and delight. 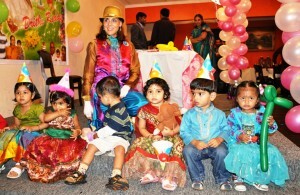 With jolly songs, lively games and great entertainment, the party will surely be memorable. If you have any party character for kids in mind, I will be happy to try and fulfill your request.